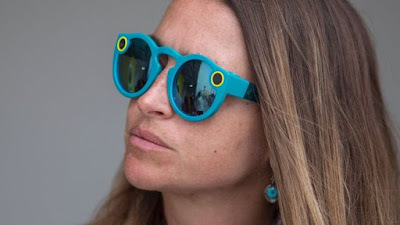 The company behind Snapchat has taken a $40m (£30m) hit to its finances after its video-recording sunglasses failed to sell as well as hoped. Snap launched Spectacles in September 2016, originally selling them only through pop-up vending machines. Pressing a button on the glasses records a short video that can be shared on the Snapchat messaging app. But on Tuesday the company revealed costs of $40m (£30m) due to "excess inventory" and cancelled orders. Chief executive Evan Spiegel has previously said 150,000 units have been sold. The company's latest earnings report pinned the cost on "excess inventory reserves and inventory purchase commitment cancellation charges". Critics said the $129 glasses were too expensive and the picture quality of recorded videos was poor. "They were a fun gimmick for some people, but not compelling enough for a lot of people to get involved," said Stuart Miles from technology news website Pocket-lint. "Snap is a social-media company that is experimenting with merchandise and hardware. They're new to manufacturing, and they must have got their projections wrong. "It never caught on in the way they were hoping."